Earlier this month, Switzerland followed the EU and the U.S. decisions to sanction six Russian members of parliament (MP’s) regarding the controversial elections held in the Crimea Region. The State Secretariat for Economic Affairs (SECO) published a press release in which it decided to sanction six Russian MP’s deemed to be involved in the controversial elections of the disputed Crimea Region/Sevastopol. Similar to the EU and the U.S. Switzerland does not recognize the cession of the Crimea Region and Sevastopol from Ukraine and deems the Russian involvement herein as a violation of international law. A ban on and exports of certain key goods used in the extraction of oil and gas, as well as restrictions on investment in Crimea and Sevastopol. An overview of the Swiss sanctions related to the ongoing crisis in the Ukraine can found here (only in German, French or Italian versions are available). The decision reinforces the Swiss’s policy to ensure that EU and U.S. Russia related sanctions are not circumvented through Switzerland. Although Switzerland has decided to mirror the EU and U.S. sanctions against Russia regarding it’s involvement in the ongoing crisis in Ukraine, the non-EU neutral country is walking a tight-rope. In this context, it doesn’t want to be sucked into the soured relations between the West and Russia. At the same time, the Swiss are sensitive to the increasing U.S. enforcement actions against global operating financial institutions which have facilitated financial transactions for the benefit of targets of U.S. sanctions. Think of the 2014 thumping enforcement action against the French BNP bank; and the accusations of the U.S. that Swiss banks are helping persons subject to it’s jurisdiction to evade U.S. tax regimes. Further, in the past, the Swiss track-record for enforcing international sanctions has been marred with accusations that it facilitated the circumvention of international sanctions, e.g. it did not adopt sanctions against Apartheid South Africa. Since 2003, Switzerland maintains a sanctions regime, based on the Federal Act on the Implementation of International Sanctions of 22 March 2002 (the Embargo Act, EmbA). An unofficial English translation of the EmbA can be found here. 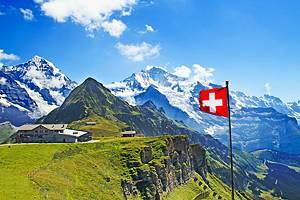 The Swiss sanctions regime implements both UN Security Council sanctions and unilateral, i.e. autonomous restrictions. The restrictions contain both economic and non-economic restrictions. Switzerland is also a great supporter of smart (targeted) sanctions to minimize the humanitarian side-effects of comprehensive sanctions regimes. For instance, together with other European countries, Switzerland has proposed a series of initiatives to strengthen the application of targeted sanctions – e.g. the Interlaken Process, the Bonn-Berlin Process and the Stockholm Process (for further information can be found here). Be the first to comment on "Switzerland follows EU/U.S. and sanctions Russian Members of Parliament representing Crimea Region/Sevastopol "